New Hampshire lawmakers pushed forward with legalized sports betting on Tuesday, as the state House overwhelmingly passed a bill that would allow betting on professional and college sports. The House voted by a 269-82 margin to send the bill to the Senate for further consideration. Under the proposed legislation, the only games that would be excluded from betting would be those involving New Hampshire schools. Sports betting, including mobile wagering, would be regulated by the New Hampshire Lottery Commission. The bill has the support of Republican Gov. Chris Sununu, and supporters plan to put the same provisions into a proposed state budget, ensuring there are multiple avenues for the bill to pass into law. Opponents of the bill pointed to the potential for the bill to have negative side effects, including an uptick in problem gambling. But supporters believe that if anything, legalizing sports betting would help minimize the harm caused by illegal bookies. In New York, the state Senate has included mobile wagering in a proposed budget. But Democratic Gov. Andrew Cuomo has come out against the idea of allowing people to bet from their phones. 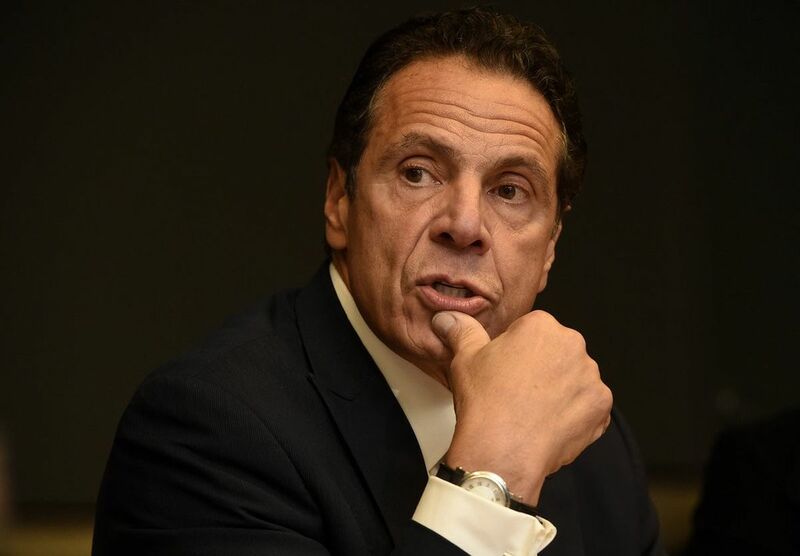 Cuomo made those comments during an interview on Albany’s WAMC radio, where he said that the economic benefit doesn’t justify allowing people to bet whenever and wherever they like. Overall, New Jersey sportsbooks have earned more than $125 million in revenue on a handle of just under $2 billion since June. That revenue is taxed at 8.5 percent at land-based venues, and 13 percent for online wagering. About 80 percent of all betting in New Jersey happens online. Cuomo noted that New York has already legalized sports betting at four upstate casinos in New York. On Wednesday, the New York State Gaming Commission posted its regulations for the industry, kicking off a 60-day public commenting period. Legal betting could begin as soon as that period ends in May. Meanwhile, the list of states taking their first steps towards allowing sportsbooks to operate legally continues to grow. In Montana, state Sen. Mark Blasdel (R-Kalispell) introduced a bill Tuesday that would allow sports betting to take place at locations that already hold gaming licenses. Under Blasdel’s legislation, mobile betting could only take place on the premises of retail locations offering sports betting. Sportsbooks would need to pay a $1,000 annual licensing fee, with revenues taxed at 8.5 percent.